You’ve had a little over a week to go see INCREDIBLES 2. Have you made it yet? If you haven’t, you might want to wait to read this post because you’re getting spoilers! I love Edna Mode. Even though she doesn’t have a bunch of screen time in INCREDIBLES 2, she is a show stealer. When Bob is struggling with Jack-Jack’s powers, he turns to Edna for help. Of course, Edna in her infinite wisdom recognizes that because Jack-Jack is a baby, he’s got limitless potential. That got me thinking about the rest of the Parr family. Sure, they’ve only got one “super” power, but they’ve all got unlimited potential. We all do. 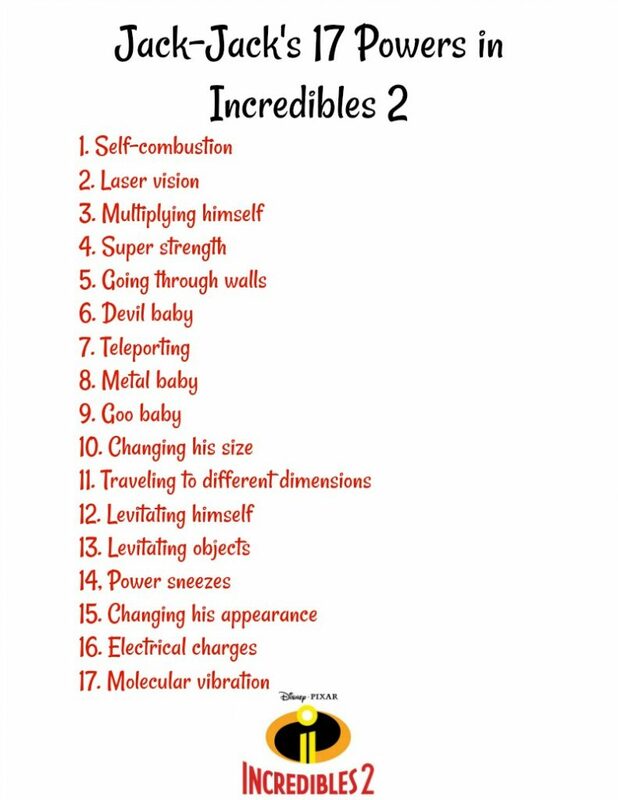 INCREDIBLES 2 picks up where THE INCREDIBLES left off. The Supers are illegal, and the Parr family is back to square one. Then something happens. The family, like we all can, gets to explore their unlimited potential. Yeah, I said “gets” to. In order for us to reach our potential, sometimes we’ve got to be put into uncomfortable or unfamiliar situations. Poor Bob. He’s thrust into very unfamiliar territory. He’s now a stay-at-home dad taking care of 3 kids. Bob’s trying his best to deal with “adolescence” and all that fun stuff that goes along with it. Then he’s got Dash’s new math! “Why would they change math?” And Jack-Jack! Even without super powers, babies are hard! But, if Bob hadn’t been in this unfamiliar territory, would he have known he had the potential to be the dad he ends up being? There are lessons to be learned here. Yes, INCREDIBLES 2 is totally entertaining, but we can also learn from it. Stretch yourself. Do something new. Put yourself in someone else’s shoes. You might fit really well. Did you read my Baby Jack-Jack Has Powers post? I talked about my trip to Pixar Animation Studios and how I learned about all things Jack-Jack. I didn’t give away all Jack-Jack’s powers then, but I’ve got them all for you here now!